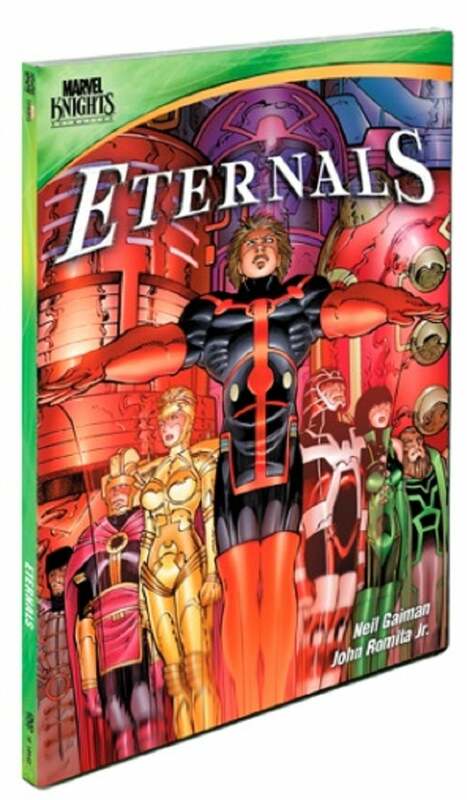 Marvel Knights Animation will release Eternals by Neil Gaiman and John Romita, Jr. to the full-cast motion comics format on Tuesday, September 16. Romita provides a look-back commentary on the disc, which be packaged in a cardboard oversleeve reminiscent of the comic itself. You can order the DVD online or buy themm at Wal-Mart retailers in the U.S.